Your salon’s website can do more than just online booking! 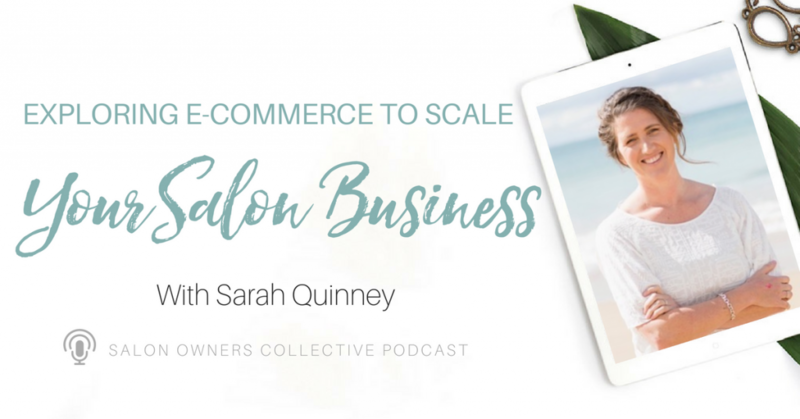 In today’s episode of the Salon Owners Collective Podcast, I’m talking with Sarah Quinney, The E-Commerce Business Coach, about how you can leverage e-commerce principles to increase your sales and work toward scaling your salon. Sarah has tremendous experience building highly successful e-commerce companies of her own so that she can be on the cutting edge and provide her clients with the today’s top e-commerce strategies to start and scale their online stores. CLICK HERE to get your copy and read Russell Brunson’s book, Expert Secrets.